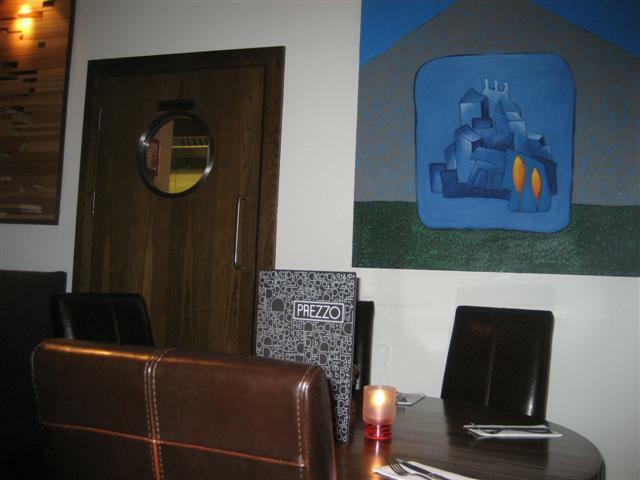 Prezzo initially pleased us both with its food and service. It was towards the end of the meal that this restaurant failed us. 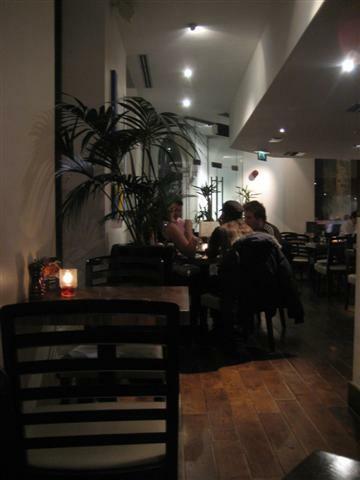 On arriving at Prezzo, there seemed to be a nice atmosphere helped by the friendly staff. Wood panelling, nice decor and comfortable chairs made up the dining area. The bruschetta was a good portion for a starter. Two triangle toasted pieces of bread topped with ripe cherry tomato halves, pesto and served with a bit of salad. The bianca pizza had a nice crispy thin base and was topped with asparagus, semi dried tomatoes, mozzerella and tomatoes. It was supposed to have goat’s cheese as a topping as well but I asked for it to be left off. The only thing that I would say is that it would have been better if the knives had been sharper. Halfway through eating the pizza, it felt like a bit of a mission to have to keep putting in a lot of strength to cut through the pizza base. The apple juice was fresh and you could tell that it was not from a concentrate. Now onto the situation that we had after we had finished eating the main meal. We were given the dessert menu and only after about a minute, one of the staff came and asked if we were ready to order. After saying that we needed a bit more time, the waiter (or it could have been one of the managers) told us that seen as we had the menus closed, it meant that we were ready to order. We did try to explain to him that we had only just been given the dessert menu. So, we now had the menus open and a minute later, another member of staff came and asked for our order. It looked like we just didn’t get the menu etiquette right: open menu means ready to order, closed menu means ready to order. We decided to skip dessert as the staff had begun to irritate us. Shortly after, we were told by one of the staff, that as seen as we were not going to be ordering dessert, then we should leave. At this point, we had already got the bill, paid and were sorting out a tip. But after all the hassle and the pushiness of the staff, we decided that they did not deserve the tip. What happened to the days where you could go and relax and take your time over a meal out?! It seems like more restaurants are like fast food places. The concept of order, eat, pay and leave as fast as you can. What we couldn’t understand was that there were free tables in the restaurant for other customers. Even if the restaurant had been full, we still shouldn’t be rushed to leave. This same Prezzo on a previous occasion surprised us in a bad way. We wanted to go to Prezzo for coffee and dessert. After being seated, we were told that such an order was not an option. The staff said that we would have to order a main meal and not even a starter would do, if we wanted to have dessert. 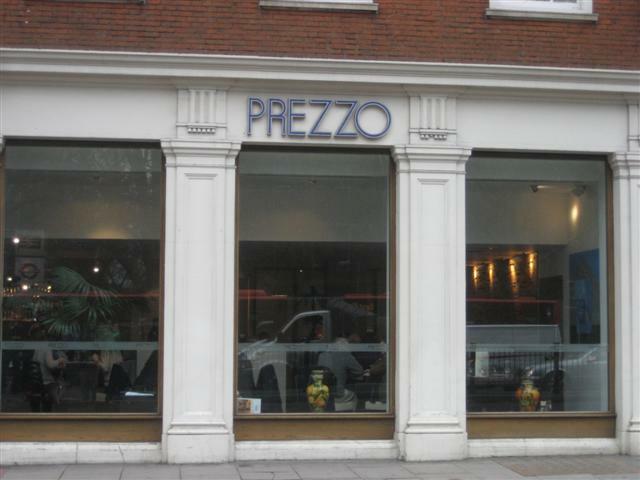 It is a real shame that Prezzo gave such bad service and had rude staff, as the food was actually of a good quality.